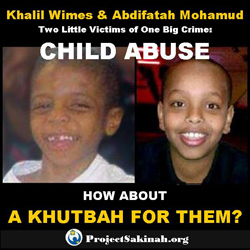 It has been nearly a year since April 17th, 2012, when 10-year-old Abdifatah Mohamud was beaten to death with a rolling pin by his stepfather in Buffalo, NY. In addition to praying for him and his mother, we urge each one of you to join our campaign to stop child abuse and to encourage better parenting. Help us spread our message to all communities and each individual. It's about time that we take ALL children seriously; that we work on ourselves to become better parents and caretakers; and that we stand up to those who refuse to be gentle and caring to their little ones. 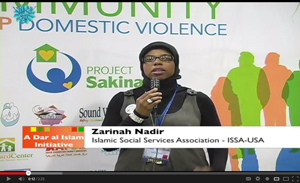 We are very excited about an upcoming new addition to our website: Project Sakinah Heroes. This would be a page dedicated to pay tribute and say thank you to our leaders, advocates and activists who have dedicated their lives to protect and to help improve Muslim families through their profession, leadership, advocacy and community services. Many of them have a track record of standing against violence within homes. This section would include both Muslim men and women. Please take a moment and tell us about a hero in your family or community. 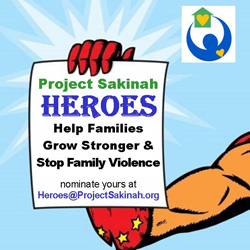 Email us at Heroes@projectsakinah.org. Please watch & share with others. 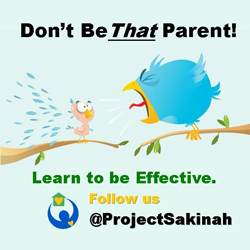 Project Sakinah is your project. Its success depends upon YOU. Please do your part. Take & Share the Pledge: While we all may agree that we won't stand for violence within our families and communities, it can help reaffirm that conviction by signing an actual pledge. The pledge on our website is designed to do just that. Please sign it and invite your friends and family members by emails, Facebook, or tweets. Join the Campaign on Facebook & Twitter As many of you know, our Facebook & Twitter campaign is going well with our online community. We are sharing tons of resources, articles and several great pictures every day. Please help us by sharing our posts with your online family and friends. Click here to join our Facebook event. 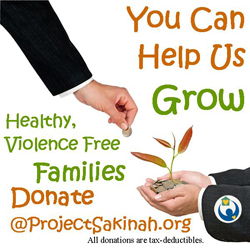 Help us Grow: Donating to Project Sakinah isn't just a tax write-off, it's a way to make a difference in the lives of millions who make up our growing Muslim-American community. We cannot continue these efforts for long without your financial support. 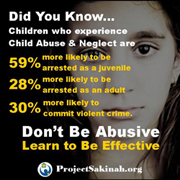 Project Sakinah is a recognized 501c3 organization—and your donations are deductible to the extent allowed by law. Please donate now. This month's spotlight is on our very own Asma Ahmed, the team lead of our Project Sakinah DC team. Asma joined Project Sakinah just a few months ago, but under her leadership the DC team has become the most active team already. She is dedicated to mobilizing her community in order to enhance the capacity of Muslim leaders, community members, and organizations to effectively respond to family violence. Her highly motivated team is made up of individuals with diverse backgrounds in disciplines including sociology, neuroscience, public health, computer science, Islamic studies, architecture, education, and more. Currently, Asma is leading her team in conducting a local needs assessment to hear from Muslim leaders and Imams about their perceptions and professional experiences regarding family violence. Over the past year, Asma has been pursuing graduate studies in clinical Social Work while interning with a state-certified Batterer Intervention Program where she has had the opportunity to provide treatment and psycho-education to domestic violence offenders. 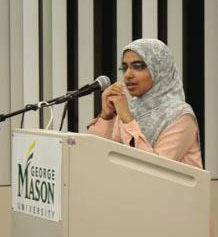 Prior to this, Asma taught and mentored at local mosques and acted as a student consultant for non-profit organizations in Fairfax, VA, and provided social services to older adults at a nursing home and rehabilitation center in her community. 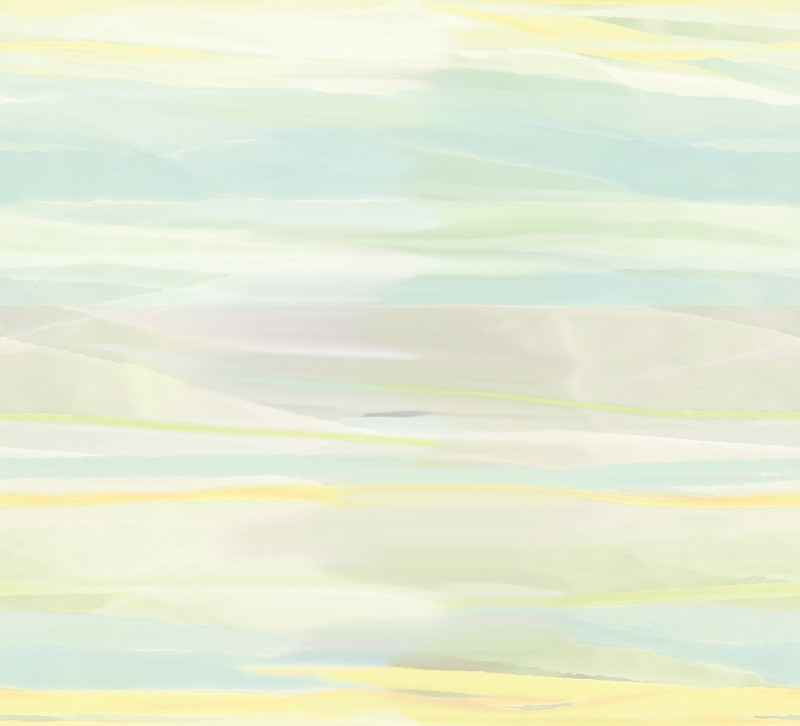 She believes every day is an opportunity to make concrete, measurable differences in people's lives. Want us to buzz off? You can unsubscribe anytime.